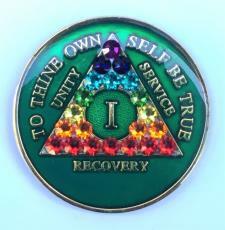 This green tri-plated medallion has chakra crystals inlayed within the triangle on the front. The Serenity Prayer is in the back. 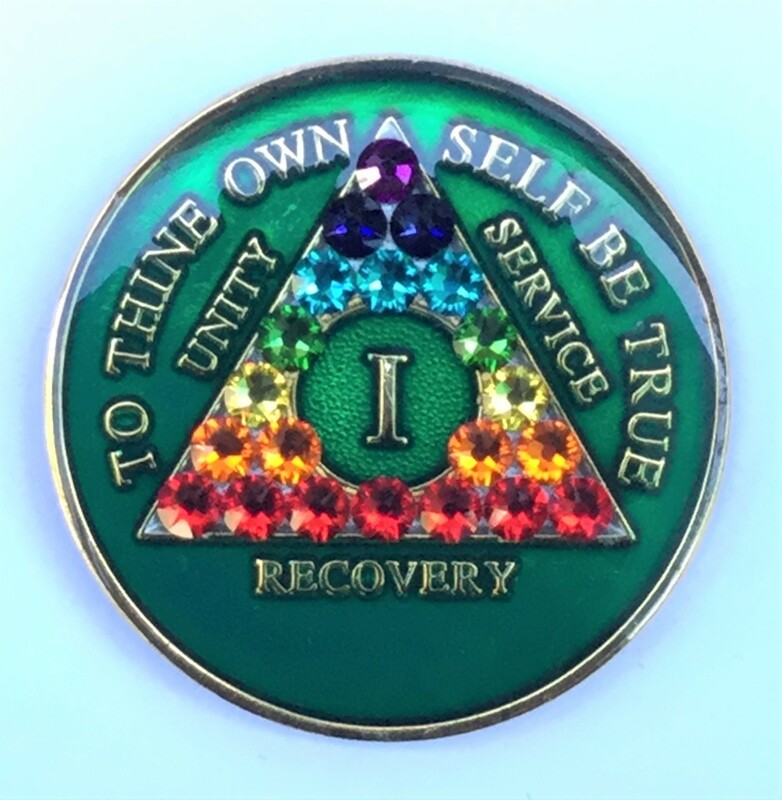 A perfect recovery gift to celebrate that AA birthday/anniversary.